Margarine is consumed all around the globe. It has a soft texture and appealing fragrance. It attracts you towards it. When you see margarine on the shelf you can’t help yourself from buying it. Sometimes, you read the nutritional facts and other time you just put it in the trolley and move. Sometimes, it can bring you problems. Always read the nutrients chart before buying. Not only margarine, this rule applies for other ingredients also but nowadays there is a rumor about margarine being harmful for human health. This is something that leaves many customers and consumers confused. If you want to clear the confusion, you would like to read the information given here. There are also a lot of other flavors that are made by combining and grating the extracts of many substances. 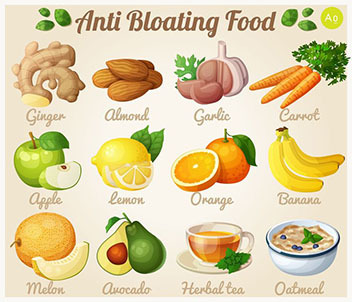 Vegetable oils that have unsaturated (polyunsaturated and monounsaturated) fats. The more solidify the margarine is, the more amount of Trans fats are present in it. It is seen that stick margarines contain more Trans fats. Trans unsaturated fatty acids are manufactured from plant oils in industries. Nowadays, Margarines are made from different plant and animal fats. These also contain skimmed milk, salt and other emulsifiers. Many of you also think that Is margarine vegetarian? The answer is yes mostly margarine is vegetarian as it contains vegetable oil, plant fats and sometimes it has palm and coconut oil. Butter can be considered natural as it has saturated fats that come mostly from animals. It is said and seen that butter mostly has milk of animals and less additives. The butter you use regularly is made from milk of cow or cream obtained from milk. Whipped butter is made by adding air in the mixture. Butter is known as a solid dairy product. Butter can be made at home but it tastes simpler while the one you get from market has different flavors. Butter can be consumed fresh. Fermented butter is also loved by most of the people. It has high content of saturated fats that are healthy for you. 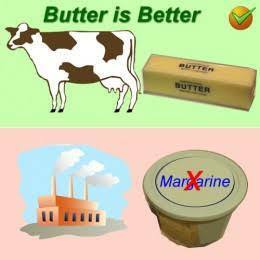 WHAT IS DIFFERENCE BETWEEN MARGARINE AND BUTTER? Margarine and butter both are used by many people worldwide. Many of them consider butter natural and healthy. The others are with margarine saying it is healthier and does not cause any problems. These both are used as spreads by people. People use these widely for baking and cooking purposes. 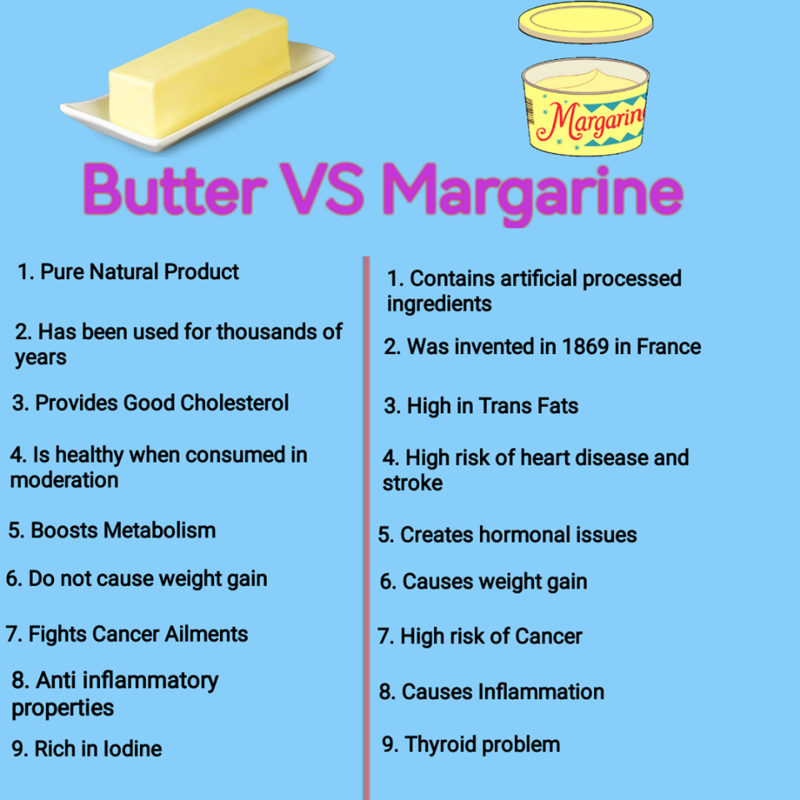 Margarine and butter have their own benefits and purposes but many people are comparing with in regards to their fat content, being natural or not and healthy or unhealthy. This chart can give you a rough idea that margarine has Trans fats and butter has no such fats. Some people think that butter has saturated fats that are dangerous for you but recent studies have shown that they have no such thing that can cause you trouble. 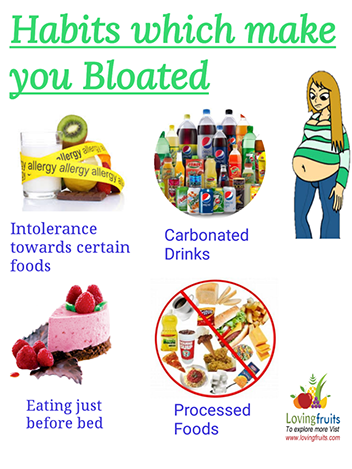 Butter can become dangerous or harmful for your health when you are eating too much. Moderate quantities don’t cause you any harm. 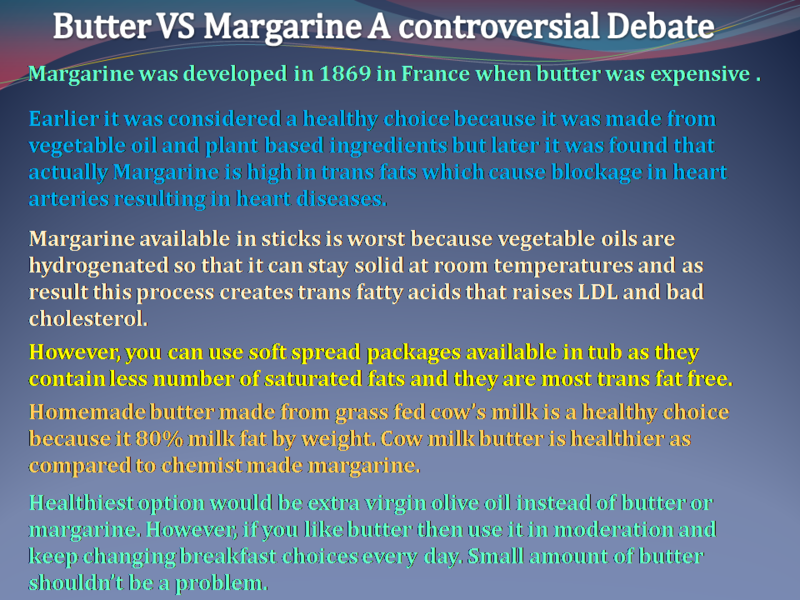 Margarine can be considered bad on the basis of presence of Trans fats. Trans fats can cause problem. A survey showed that people eating margarine in their regular diet had 34% more chance of heart diseases and blockage. Trans fats increase your blood cholesterol levels, it is seen that mothers eating Trans fat margarine feed (breast milk) also had Trans fats in it. It can also lessen your immune response. Margarine can be bad in this respective but it is tasty and you can’t stop eating it. In this case, you should its amount consumed with your doctor or nutritionist. The margarine that has lots of Trans fats can be bad for your health but the one’s without these are helpful as they reduce cholesterol. Depends on you; it can be NO, if you choose the margarine with less Trans fat content and eating moderates amounts and it can be YES, if you will consume margarine with high trans content. You have the required information, all you have to do is pick the margarine having nutritional chart showing least Trans fats.